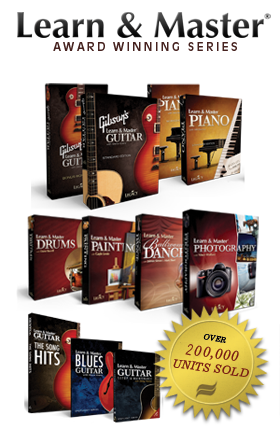 It's a great companion to Gibson's Learn & Master Guitar. Who Says Learning the Guitar Has to be All Work? The Song Hits will teach you how to play your favorite songs! When Learn & Master Guitar students are in the throes of learning their scales, we’ll sometimes hear from them, "Love the course, love the exercises . . . but I want to play some SONGS!" We know what they’re saying. They realize how important it is to work hard and follow the course, but they still want to play the music they love. Well, you know what they say about all work and no play. 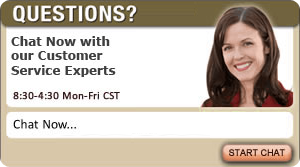 So you asked for it, and we listened. We are proud to announce our new companion to the Learn & Master Guitar course. Introducing . . . 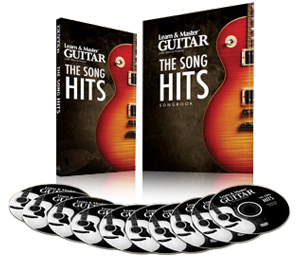 Learn & Master Guitar: The Song Hits! This package includes 10 DVDs of the songs you know and love. Songs like, "Come Together," "Hit Me With Your Best Shot," "You Really Got Me," and dozens of others. In this companion course, Steve teaches you songs that correspond in skill level with the Learn & Master Guitar sessions. 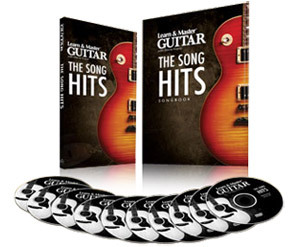 Learn & Master Guitar: The Song Hits is NOW AVAILABLE.